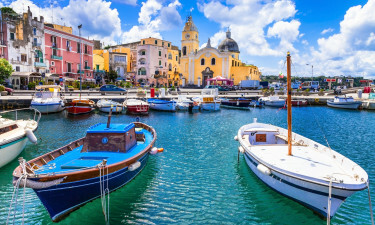 Campania is located in southern Italy and with a population of 5.8 million, it is actually the second-most populous province in the entire country. Due to its balmy climate and a proximity to many beaches, this region is home to luxury camping sites which attract countless visitors each year. Campania has always been considered a centre or arts, literature and architecture. For those who enjoy the luxury camping sites here, there are numerous masterpieces not to be missed. Also, the region offers agreeable weather throughout most of the year. Luxury camping can therefore be enjoyed through such accommodations as mobile homes, luxury tents and bungalow tents. The infrastructure here is also very modern. Why should I choose the holiday camping sites in Campania? Located quite close to many spectacular beaches, the luxury camping site of Baia Domizia provides a great deal of activities including swimming and other aquatic pastimes. Additionally, the mobile homes provided here are all equipped with modern conveniences. The amenities at this large luxury camping site have been created with the needs of the whole family firmly in mind and there are onsite activities for people of all ages to enjoy. The site is set in a pretty pine forest, while several golden stretches of sand and charming towns are within easy reach. There are a great many beaches located within this region. Some of the most respected and clean include Acciaroli Beach and Arco Naturale Beach. A stunning diversity of marine life can likewise be witnessed. Perhaps one of the most famous attractions in Campania is Mount Vesuvius (site of an eruption in 79 AD). 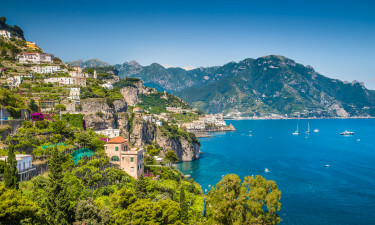 Stunning caves such as The Blue Grotto can be found along the shore and the Amalfi Coast is very popular for anyone choosing to enjoy a luxury camping excursion here. 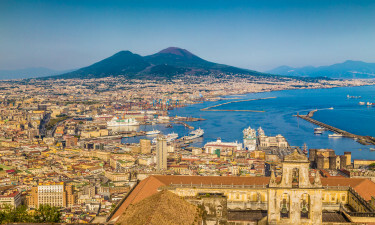 Famous cultural sites include the Naples National Archaeological Museum, the ruins of Cumae and the Villa of the Mysteries. All of these are located within a reasonable distance from most holiday camping sites. Camping in luxury would not be complete without experiencing the local cuisine and wines here. 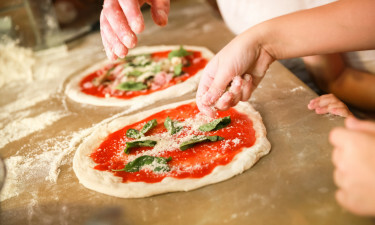 Some famous dishes include the calzone, Neapolitan pizza and a variety of spaghetti-laden delicacies. Meats and fish abound while Mozzarella di Bufala (buffalo mozzarella) is very popular. Mouth-watering local wines including Lacryma Christi, Solopaca and Taburno are favourites amongst natives and tourists alike. The culture is very open and amenable; prepare to feel right at home. If you would like more information in regards to this opportunity or to book a holiday camping site, please contact Lux-Camp for further details.